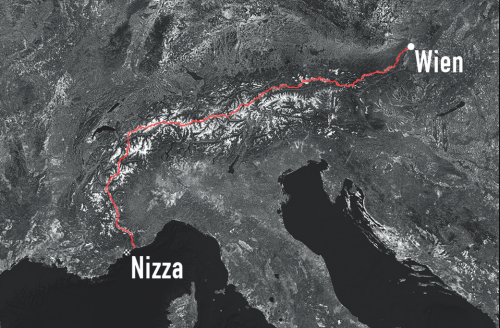 The goal: crossing the alps from Vienna to Nice. About 90 stages are necessary to cross the alps with ski. The complte track with information about each single stages are visualized on Bernhard Gauls Gpx viewer. Or without information about the single stages on Alpenvereinaktiv. The time planning starts on the 21st of Janurary 2017: time plan. With the help of a spot tracker you can check my location. Due to the battery consumption of the tracker, I will switch it only on from time to time – so unfortunately no complete track will be visible.